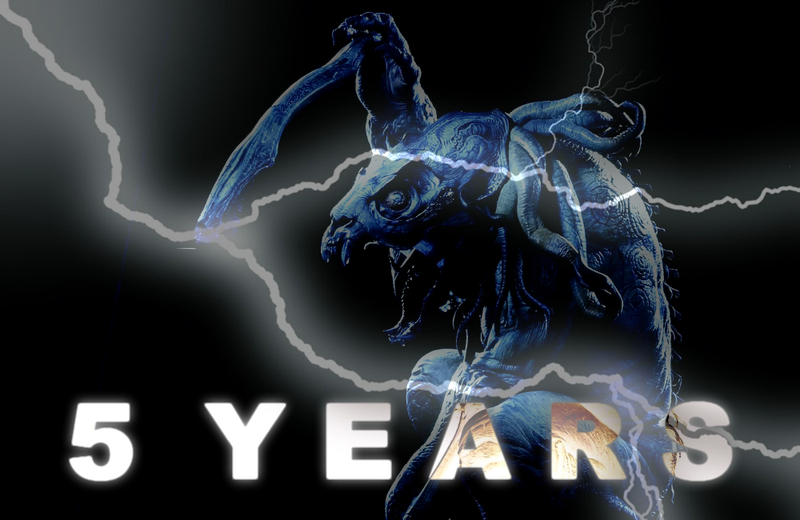 This month Monster Legacy celebrates 5 years of successful publication! Did not believe I could get this far, and I look forward to writing more in the following years! Heartfelt thanks to all my collaborators and followers. Thank you everyone. Posted on 31/07/2016, in Monster Legacy and tagged Anniversary, Monster Legacy. Bookmark the permalink. 2 Comments. It’s been a joy and enlightenment to read every article. I’ve learned so much about my favorite movies, my favorite creatures. It’s been grand, and I hope for much more!